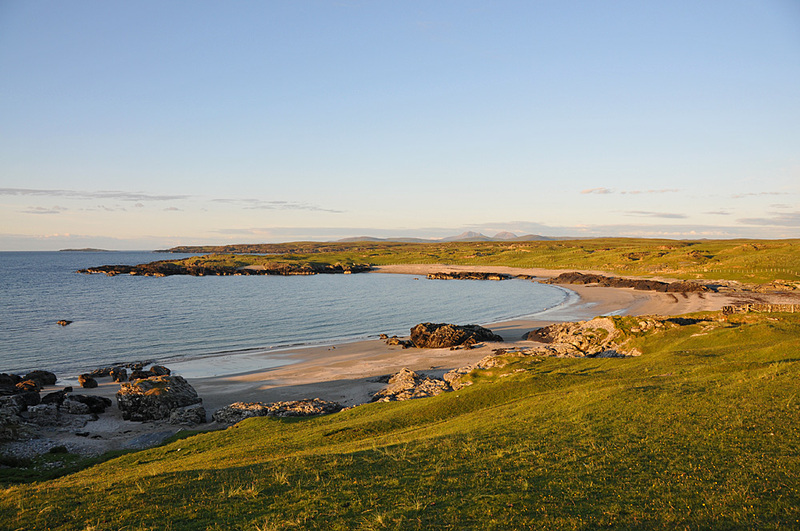 Some beautiful mild June evening light over Sanaigmore Bay in the north west of Islay. The Paps of Jura are also visible in the distance just right of centre. This entry was posted in Beaches, Landscape, Repost, Sunny Weather, Sunset and tagged Islay, Paps of Jura, Sanaigmore, Sanaigmore Bay by Armin Grewe. Bookmark the permalink.